Tourists having their photos taken with the Cagsawa Ruins. 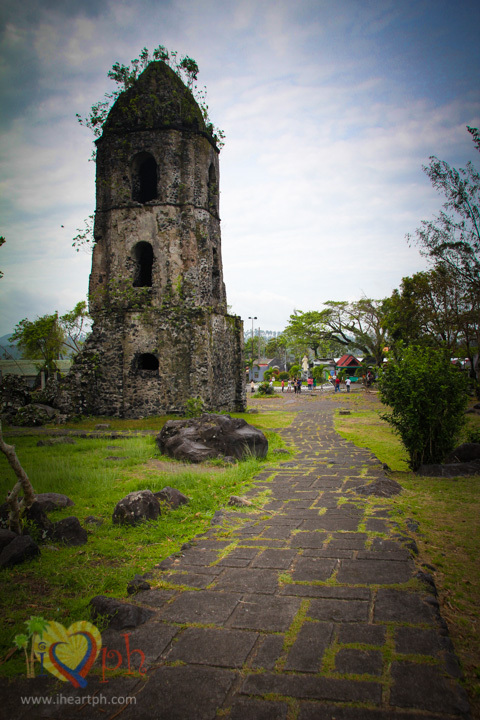 The Cagsawa Ruins, one of the most visited landmarks in Albay, is the remnant of the 18th-century Cagsawa Church, which was built by the Franciscans in 1724. 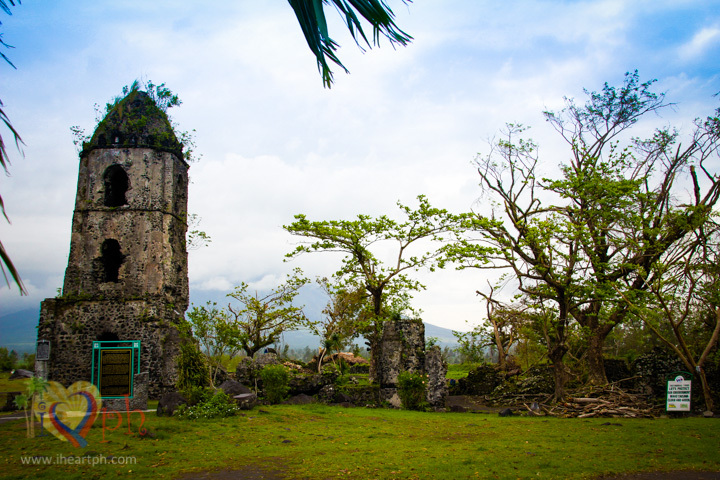 It is located in Barangay Busay, Cagsawa, Daraga in the province of Albay. 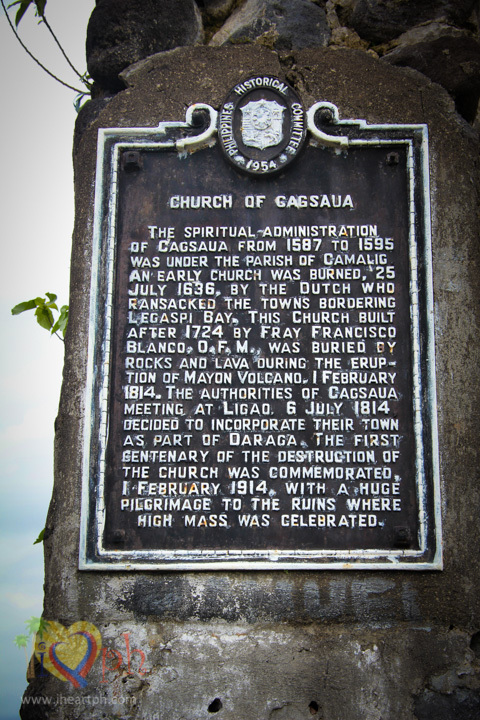 In February 1, 1814, the Mayon Volcano erupted and engulfed the church along with an estimate of 1,200 people who took refuge in the church during the eruption. The incident left only the belfry standing. From Legazpi City, take a jeepney going either to Ligao, Camalig, Libon, Guinobatan, Oas or Polangui and ask the driver to drop you off at the road going to Cagsawa Ruins. It should not take you more than 15 minutes to get to the junction. You will see a Cagsawa Ruins signage at your right and from there, it should be a few minutes walk. From Manila, Legazpi City can be accessed by land or air. See list of bus liners and airlines going to Legazpi City. 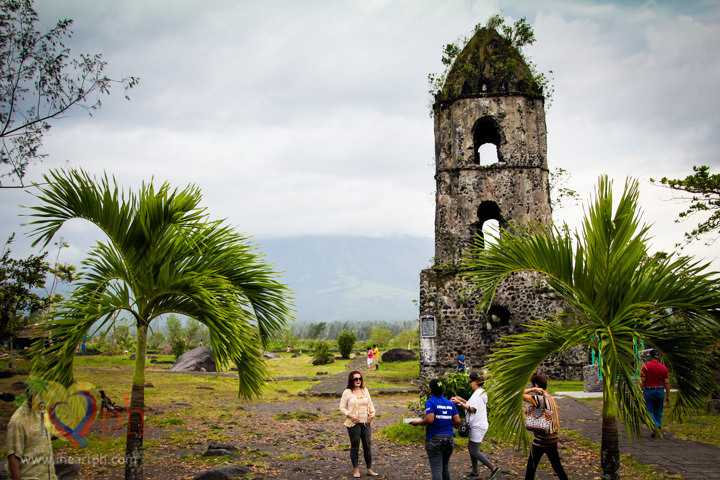 If you are planning to visit other places in Albay, please check out my suggested itinerary. In the vicinity of the Cagsawa Ruins, there are several souvenir shops where tourists can buy native products such as bags, pouches, wallets as well as shirts, magnets and keychains. Postcards, showcasing the beauty of the Mayon Volcano are also available. Staff from the town's tourism are also in the area to help tourists take creative photos with the Mayon Volcano and the Cagsawa Ruins. They would usually take a lot of creative shots and ask you to do a lot of funny poses. The staff would normally not ask for any payment but donations in any amount would be most welcome. 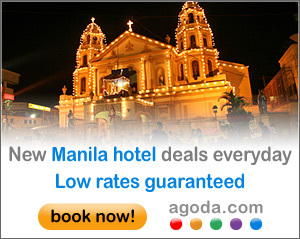 You can visit my list of cheap accommodations in Legazpi City or search for Legazpi City hotels in the search box below.